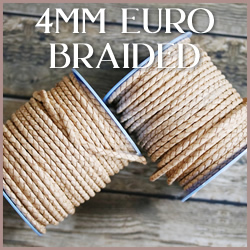 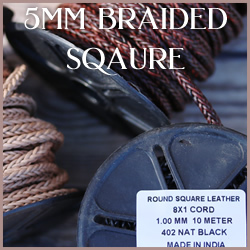 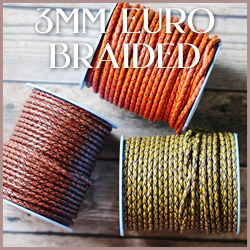 Wholesale braided round leather cord in 3mm to 10mm sizes. 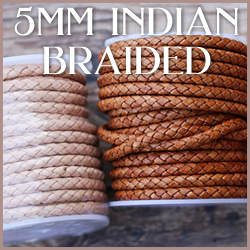 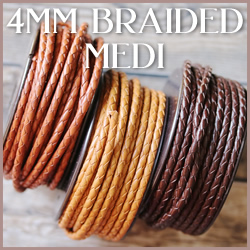 Our 3mm braided leather cord can be used to hold a heavy pendant in a necklace design, used to make wrap leather bracelets, and is ideal for bolo ties. 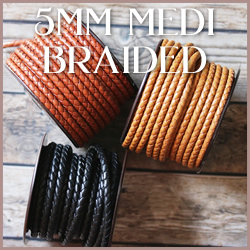 Our 5mm braided leather is great for mens and womens leather bracelets, just add a clasp and some slider beads to make your bracelet design unique. 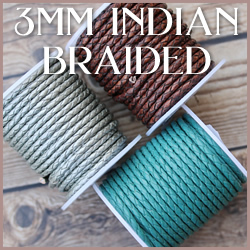 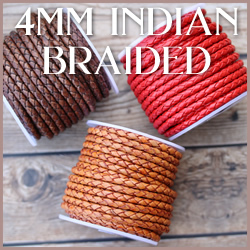 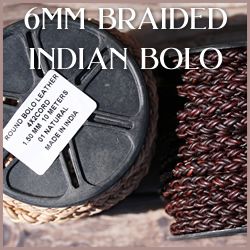 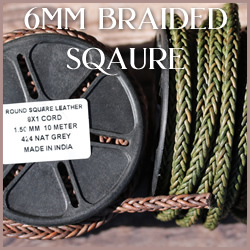 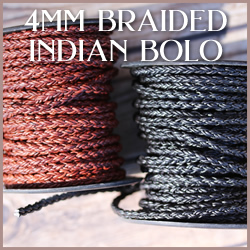 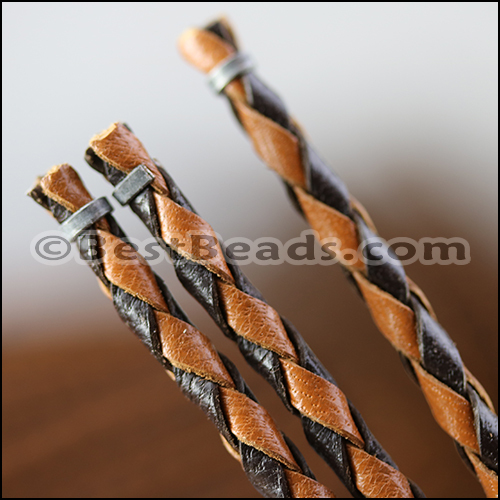 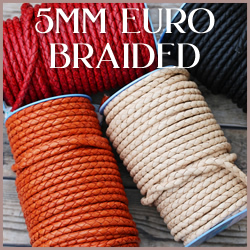 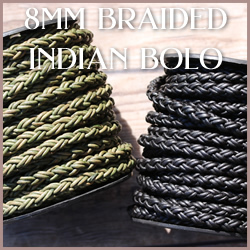 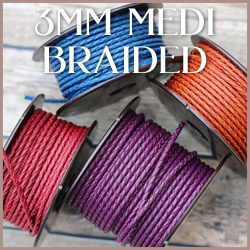 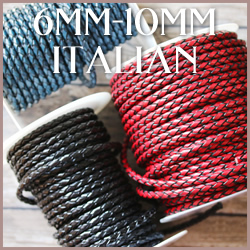 Our 6mm, 8mm, and 10mm braided leather is sold per 1 meter and is available in many colors.